• About our return practices. BrooksActivewear.com has a strong tradition of providing quality goods and excellent customer service. We have an unconditional return policy for the replacement or refund of any manufacturer defective product within 30 days of the sale. Manufacturer defective product refunds include the original shipping cost. Prior to shipping returns please contact us at Product Returns. No refunds will be processed until we have received the returned product or we have authorized a refund without the product return. • Return conditions for non-defective or custom printed products. 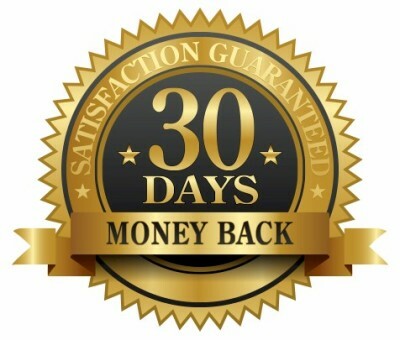 If you are not completely satisfied with our product, we will return your money (less shipping), within 30 days of the sale. This only applies to garments not worn or washed. Custom printed products are limited to exchange only, within 30 days of the sale, when the product has a manufacturer defect. No refunds will be processed until we have received the returned product or we have authorized a refund without the product return. Orders returned within the USA should be shipped via US Postal Service. Our return address does not accept UPS, FedEx or other private carriers. Before shipping returns please contact us at Product Returns. Please include your invoice or packing slip with all returns to help us process your return/exchange more quickly. No refunds will be processed until we have received the returned product or we have authorized a refund without the product return. Orders returned outside of the USA should be shipped via air mail. Our return address does not accept UPS, FedEx or other private carriers. Before shipping returns please contact us at Product Returns. Please include your invoice or packing slip with all returns to help us process your return/exchange more quickly. Be aware that your country may levy import customs and duties on any items we ship to you. We will not refund such tariffs imposed in this process. No refunds will be processed until we have received the returned product or we have authorized a refund without the product return. BrooksActivewear.com occasionally ships product samples to our customers for the purpose of sizing and customer product verification. All samples are subject to regular price and shipping cost to be paid at the time of ordering. Any orders intended as a sample must be prearranged and labeled "SAMPLE" on the billing or the return of such items may be subject to a restocking fee not to exceed 20% of the item cost. No sample refunds will be processed until we have received the returned product or we have authorized a refund without the product return. The provisions within our Return Policy are subject to change without notice, however, whenever possible we will provide notification of these changes.